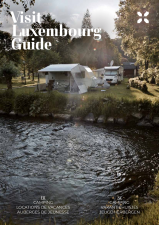 If you are visiting Luxembourg, don't miss buying the tourist pass Luxembourg Card! For a period of 1, 2 or 3 days you’ll enjoy free access to more than 60 museums and tourist attractions in Luxembourg. It is so much more than just a classic city pass card, as the unique Luxembourg Card provides extensive advantages throughout the entire Grand Duchy. The card must be shown at each attraction visited. The card is not personalized. To validate your Luxembourg Card, write here with a pen the date when your Luxembourg Card is used (the card will be valid the same day). Luxembourg Card - How does it work?